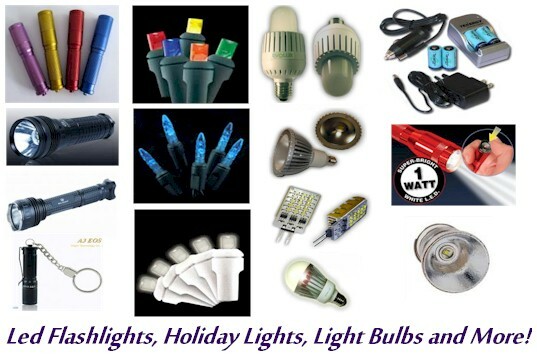 LED lights are very efficient when compared to other lighting products. Over time, this means that you'll save money (up to 90%) on your energy costs by using LED lights in and around your home. LED lights have lifetimes ranging from 50,000 hours to 100,000 hours making them a money saving investment as well as a great option for difficult to access places. LEDs don't produce UV radiation and are cool to the touch. 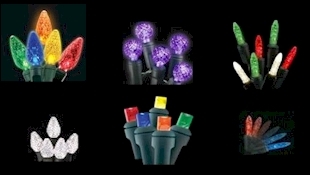 LED lights are durable, and very difficult to break. 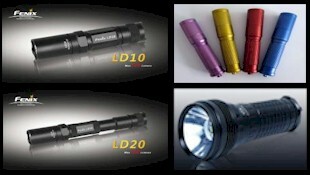 We carry a huge assortment of LED Flashlights from names like Surefire, Elzetta, 4Sevens, Fenix, Inova, ITP, and Olight. Our LED Holiday Lights are bright and flicker-free while using just 10% of the energy of conventional lights. 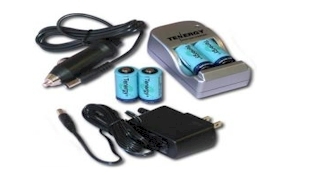 We carry these brands: 4Sevens, Shore Power, Surefire, Tenergy and Ultrafire. You want your LEDs now, so we ship 95% of all orders the same day they're purchased. Continential US orders ship for a flat rate of $4.95 or $0.95 if the order's over $90!